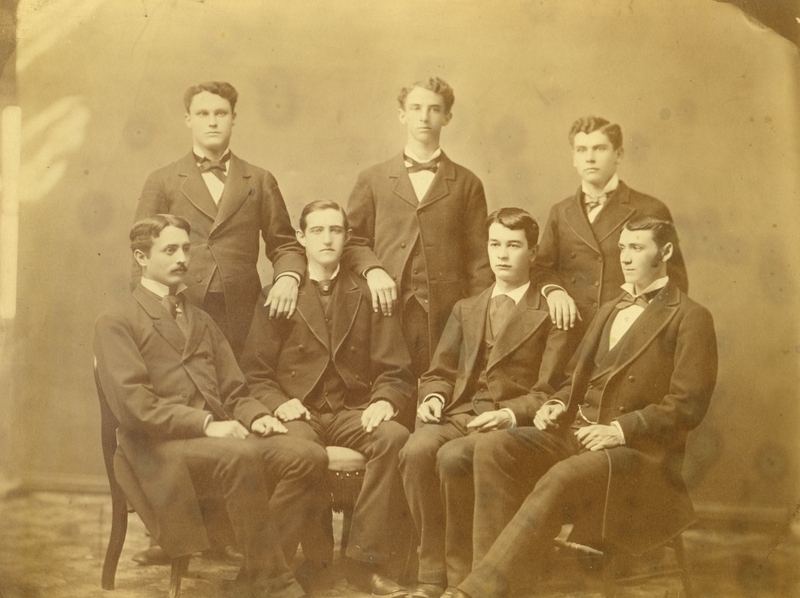 Group portrait of fraternity members from the class of 1879. Seated, left to right: J.P. Huston, Henry Carleton, Ozro Castner, Henry A. Huston. Standing, left to right: A.W. Hanson, John Achorn, Horace Henderson.